Looks who’s open!! 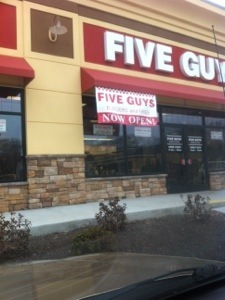 Hello Five Guys Burgers in Shelton!! Next time I’m craving a hot dog I know where I’ll be heading. Plan B’s Iron Bar is Tomorrow, Will You Be There?